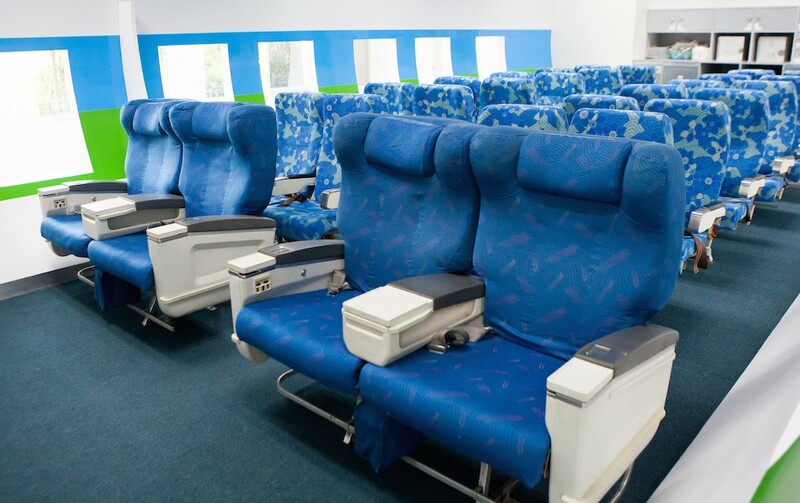 The Aircraft Cabin Mockup of St Theresa International College is a new state-of-the-art airplane cabin simulator that was constructed specifically for St Theresa’s Department of Airline Business. Its purpose is for students from the BBA Airline Business program to practice in a real life environment and familiarize with actual cabin interiors. The cabin mockup facilitates all cabin crew-training activities from on-board food and beverage management, to airline emergency evacuation procedures.